SEO is hard when it comes to online marketing, and get more traffics to the business website and today we will share all the completed SEO guide to getting your website ranking on Google and these SEO strategies are always used by most of succeeding blogger and online marketer. After using all the SEO that you had learned from this article and well practice on your website, then it may clam up to the first page of the Google search result page. It takes time to get your website rank on the SERP, So you need to work hard on the On-Page SEO and Off-Page SEO to make your site get the higher ranking. These SEO strategies are powerful ways to generate more traffic to website organically from Search Engine, And it exactly what we had used to rank our website on Google Search result page on a good position with our targeting keywords. You will learn a step by step to SEO on this article for helps your website ranking. Before we start up all the steps of the Ranking factors to make your website ranking on Google in 2019 we need to understand all the process of optimizing your blog for SEO friendly. SEO is standing for Search Engine Optimization, the powerful ways that you can get free traffic from the search. So to get your site to perform on the search engine you need to do right SEO which is not an easy task if you are a beginner of search engine optimization but today article will help you do the things that make your website performing the search result page. WordPress is the best content management system (CMS) that most of the website is running this system nowadays. It becomes a popular blogging platform around the web and you can build the most beautiful website without any coding experience on WordPress. There are a lot of plugins available there to helps your desire of the configuring things on your website requirement. When it comes to optimizing website or blog post SEO then we need thinking of the best SEO plugin that helps us optimize our website or new content SEO very quickly. So today we will use the most powerful SEO plugin that comes with a lot of useful features and help our website search engine SEO friendly. …and love to rank by a search engine. Rank math is late of coming to market of the online marketing and SEO but this SEO plugin is really great and comes with the most desire SEO ranking factors. To make our website get higher ranking on the SERP, so we suggest you use Rank Math SEO plugin anyways there is more SEO plugin out there. And Yoast WordPress SEO plugin also a good plugin that many bloggers and website owner use this plugin to helps their website SEO optimization techniques. It also the best WordPress SEO plugin and there a ton of user install and activate this plugin. 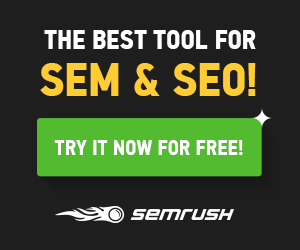 So now let getting the start and download the Rank Math SEO plugin. First, go to Mythemeshop to download the plugin and install on your website before getting started the set on this plugin. After Download the Rank Math WordPress SEO then you have to install and activate this plugin to make this plugin work on your website. Then its time to optimizing things on your website to make it SEO friendly for the search engine ranking. After you had installed and activated the plugin then the plugin will show the screen that allows you to import the data from the previous SEO plugin that you used. This plugin did very well on this term, so you don’t have to spend the time to re-optimizing your content SEO after a move to the new SEO plugin. Rank Math takes care of all of these things for you without any worries. After you are done the setup wizard now its time to make active all of the plugin feature modules to make all the plugin function work find on our website. To active the modules of this plugin it really simple by just click on the Rank Math at the left side at the WordPress dashboard menu. When it comes to SEO Optimization Keyword research is the first thing you need to work on to find the low or high competition of your target keyword you want to rank for. Before when can do keyword research we need to know of the best keyword research tool that helps us working on this task. And today I recommend you to use one of them is KWFinder. This SEO Tool will help you to find the best benefit keyword and show the keyword difficult (KD) to let you know how hard this keyword will your website rank. It just enough of talking but this helps you more to grow your website traffic by giving you full information keyword details such as Search Volume, KD, SERP state, Keyword related and long tail keyword. So now let going to do the right keyword research to find a good amount of competition on your target keyword that you wanted to rank for on search engine. The first thing we need to go to KWFinder for starting to do keyword research and begin typing your keyword in the search bar of this tool. Then enter your target keyword on the search bar of it, then click on search button or press enter. So first thing you need to check out the search volume of your target keyword that had shown on the screen, which mean find out the how many people search on the keyword that you want to rank for. If it is too low or high search volume. It is kind of the idea that explains to you whether to continue to write content with low search volume or a good amount of search volume, then you can make a decision to writing content. So need to find out a good amount of monthly search volumes with low competition keyword before you start writing content. The monthly search volumes must be from 1000 up before you choose that keyword to write content and post on your site for benefit of driving traffics. Now let understanding about CPC & PPC, It is really good for the blogger when they want to earn money from PPC network like Adsense, Media.net, …etc. and it helps to the advertiser (CPC) when you want to show ads on Google search or another network it can give you an idea on this task. So it really important to check out if you are on this both situation you need to check it very well for the good result of keyword researching. Keyword suggestion is really important for you to pick the most relevance of the main keyword and integrate those keywords within your content to boost the search engine ranking. You need to find a good amount of search volume of keywords suggestion to integrate them into the article. When your target keyword has a good amount of search volumes, It time to check on the keyword difficult score that had shown you at the right side. Keyword difficulty score is really important for every blogger and marketer because it tells you, you should write content with your target keyword or you shouldn’t. So let’s Understanding about keyword difficulty score in KWFinder. From 85 – 100 Don’t do it. This is a really important part of the keyword research option, this can tell that the target keyword that you want to rank for is another website already ranking on the SERP page of the search engine. So you need to write and do very well SEO optimization to make your content compete with others. So this SERP state can tell you the exact sites that rank on your main target keyword then what you need to do is read them and write more details article then your competitors. This SERP state is really important and us more time on research competitor on any keyword because it already shows the real site and position that they rank on SERP page and then we just take a look on them and do more better than them that it. The main ranking factor of SEO is On-Page Optimization, So it is really important for every content that you seriously want to rank on the search engine so you need to optimize well on the on-page SEO to make it search engine SEO friendly. Because the search engine uses the algorithm to crawl every content before it ranks any of the content, then we need to optimize our blog content matched with search engine ranking factors and On page SEO also have a lot of factors that you need to know and today we will show you all of them to helps you do the right on-page optimization to increase search engine ranking position (SERP). How to Optimize my Content for SEO? Let’s understanding about the On-Page SEO checklist below for full information that you can use for the right blog post optimization. Title of your article is the factor that search engine crawl the keyword of the user search for, So if you want to rank good position on the SERP of Google or another search engine you need input your target keyword within your title tag. If possible you can use your target keyword at the beginning of the title is better. Like in this article my target keywords are “Completed SEO guide” So I start my headline with “The Completed SEO Guide to Rank Higher On Google” It not at the beginning but it almost there. If you can do it no problem but if possible it really good. For title tag or headline creation if you have no idea or you not sure you can use free headline generator it will help you out to create a better title tag for SEO and increase CTR (click throw rate). Meta Description is also a factor that Google uses to crawl content before they rank any article on their SERP page. So to make your article more SEO friendly you need to include your target keyword at the beginning of your article between 100 words. If not you also can change your meta description and title tag by using WordPress SEO plugin like Yoast or Rank Math. URLs also factor that search engine use to ranking content then we need to use our target keyword in the URL to make more SEO friendly. Keyword density is the quantity of your target keyword within the whole of your content and it can measure by WordPress SEO Plugin, when you use SEO plugin it will calculate this for you so you need to worry about it. Using Image Alt attribute is really good for SEO and It will get better ranking such as Image search content research on the Search engine. So make sure you need to include your target keyword in your image attribute to make your content more SEO friendly. Internal Link building is really good for SEO and another post on your website to make them get a higher ranking on the SERP page of Google. So you need to link to another page of your content with the keyword that those page targeted. (e.g <ahref=”yousite.com/wordpress-seo-plugin”>WordPress SEO Plugin</a>) So “WordPress SEO Plugin” is my other post target keyword then I need to give good anchor text to help my other post get better ranking on Google and another search. So don’t forget to like out to your old content to boost those article ranking and it really factors that you need to practice in every single post you made by just to the relevance word to the old post and link out as many as you can with the page that you want to rank. External is really useful and it can be a resource for your readers it also can be proof of your content to make your reader feel good on reading the article. So don’t forget to link out for the resource and it also important factors that help your website ranking. Rich Snippet is a Google structure data that help search engine easy to understand what your article all about, Back in 2004 and 2012 Google had announced that structuring data is also a factor that Google uses to rank a website. If you don’t know what is rich snippet you can read this article and it helps you fully understanding. And you also need to have a plugin that helps build this, it called All in One Schema Rich Snippet just download and install it on your website then you will able to customize your rich snippet. like adding start rating to increase CTR. This extension will help you in grammar and spelling checking so it is really good when it during we write a content it will check all the wrong of our grammar in the sentence. Make sure you need to have this extension install on your browser. So to have it you need to sign up before your use. Page speed also uses as a factor to rank a web page by a search engine, because nowadays everyone like fast loading website they wait for the slow one. Such as you and me, we don’t like slow loading right? So we need to optimize our page for better speed performance, To do that there is a tool that you can use for improving your website performance. Those tools will tell you all what made your website slow and let fix them step by step be seeing the reports of those tools has shown. You can use one of these tools to see what wrong that make your website running slow and fix them out to make it run more faster. This tool will tell you the exact problems that make your website running slow and take look at those problems fix them one by one. After you have done all, your website will be getting better speed loading. But keep in mind if you want to test the speed of your webpage like a pro you need to in specific URL. Read more: 6 Powerful Tips: To Boost Website Page Speed. Off-Page optimization is the outsourcing of SEO practice that makes your website improve search ranking position on Google and another search engine because there are algorithm and factors that most popular search engine use to rank and the most important factor of an off-page SEO is Link Building, link is the most important ranking factor that can help your website site ranking well on Google but it is not easy to build links. The more links you had the better of your website ranking is. So as you had known that link building is not easy but there are strategies that we can build more backlinks to your website and we will talk about it abet later. Content king as many marketers sad because it can make engage people to come to your business and help you increase the sale, so make sure you have to write good content that really help people around your niche to engage them to come back to your website again and again and make them feel your website is really useful and helpful. So time good content also help you get more social share and build more link naturally because some blogger thinks that your website can be the resource to their content and for their reader. It is really good strategies that you can boost your social signal and build white hat link building strategies, so that why we said content is a king for any blog or business website. Guest post contributor is the best link building strategy that you can build white hat link to your website and it really safety on link building and this strategy used by almost all the blogger and SEO experts to build the link to their website. So now let dive in the ways that you can do guest post contributor on other people website to build backlink to your website. Want more traffics to your wesite? Subscribe now to receive completed SEO strategies that we use to grow our website traffic and we will share all the tactics that we used to helps you also growth.